Sorry... the 2016 Chevrolet Cruze Limited is no longer being sold as new. 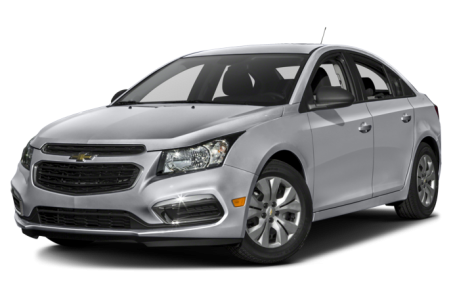 The 2016 Chevrolet Cruze Limited sedan offers great value for new car shoppers, with plenty of in-cabin amenities for its price and excellent fuel economy, espeically on Eco models. Though it is being introduced as a new model for 2016, the Cruze Limited is actually the older, 2015 version of the car which will be sold alongside the new, redesigned Cruze which comes out later this year. So for clarity: 2016 Cruze Limited = old Cruze, 2016 Cruze= the new redesigned version. The Cruze Limited carries over the changes the Cruze received last year, including new front styling that added a different version of Chevrolet’s split grille. The look is similar to what is seen on the Malibu and Impala, giving Chevy’s sedans a more cohesive, recognizable look. Under the hood, the Cruze Limited offers several engine options. The base engine is a 1.8-liter four-cylinder making 138-hp, but most trims of the Cruze feature a 138-hp, turbocharged 1.8-liter four-cylinder that can be mated to a six-speed manual or six-speed automatic transmission. Fuel economy ratings are better with the turbo four-cylinder, an EPA estimated 26/38 mpg city/highway. Eco trims of the Cruze get even better: 28/42 mpg. Inside, the Cruze Limited features an impressive array of available technology, including hot spot capability, text message alerts, Siri Eyes Free integration for iPhone users, and an AppShop to download apps. Standard interior features include Bluetooth connectivity, USB port, air conditioning, and a 60/40-split folding rear seat. 4G LTE internet connectivity that powers a Wi-Fi hot spot is also standard; it is run through GM’s OnStar suite of services and comes with a free subscription initially (3 GB or 3 months) but requires a monthly fee thereafter. The Cruze Limited received a full five-star overall crash test rating from the NHTSA, their highest score. Standard safety features include 10 standard airbags, antilock brakes, and an electronic stability system. Plenty of safety technology is also optional, including a blind spot warning system, rear park assist, a rearview camera, and rear cross-traffic alerts.